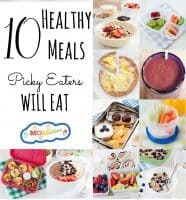 If you’re trying to find picky eater strategies to help introduce new foods to your kids, you’re in the right place. With thousands of members in our community of parents, we’ve tested quite a few and received a lot of feedback over the years. 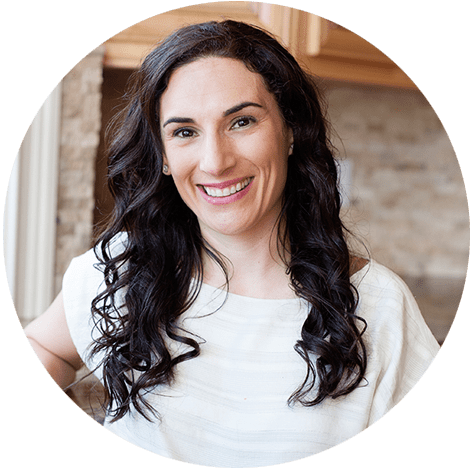 As a mom to 3 kids, I’ve had my share of picky eater issues; and for nearly seven years, I worked with experts weekly to help me figure out how to get my picky eaters to try new foods. The end-game is the same for all of us and the following are some of the things that I’ve learned along the way. Of course, if you want to see how I transformed our meal times for my family click here. No matter how frustrating dinner time might be, many kids like the attention that the dinnertime struggles bring. Smile throughout the meal and ignore the call for attention. Kindly remind the child that you’ll be very excited to (play, read a book, talk to them) after dinner but the table is a place for manners. 2. Put on your best poker face. The more casual you are about them wanting to try something new, the more likely they are to follow through with trying the food. 3. Keep track of progress. Noting what was served with…etc. This way, it’s easy to see progress over time, and it will help you make more meals with similar flavor profiles. 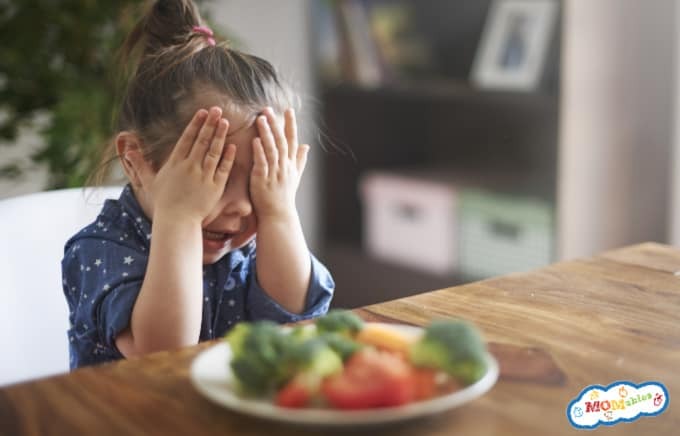 Related: 5 Mealtime Mistakes Parents of Picky Eaters Make. You might think it’s crazy to add a cheese sauce to broccoli, peas, carrots, green beans… but sometimes that’s exactly what is done by feeding therapists at their clinics. The key is to find a vessel that the child finds appealing; then, they use it to re-introduce foods with the same taste they already like. Or, sometimes it can be crazy to puree soup (even chili!) to a smooth consistency, but if a child prefers a smooth texture to their soup, this might be the best first step. Eventually, you’ll puree it chunkier and chunkier until they can adjust to the new texture. 5. Overcome Color with Creativity. We’ve all heard of the kid that eats “only white and yellow foods” and nothing else. You can mix mashed white potatoes with a few mashed carrots or sweet potatoes, where the color changes gradually. Eventually, the color gauge moves to the real color of said food, and your child will accept the change since the transition has been gradual. This method works great with yogurt. Mix pureed fruit or veggies (from the baby food section if you don’t make your own) with plain vanilla yogurt. It will slowly add color acceptance in a vessel they already love. Some kids, love spaghetti and tomato sauce but can’t stand pesto because it’s green. Adding a little bit of pesto to the tomato sauce and gradually making the switch will get them used to the taste and accept the transition from red to green. One of the things I’ve learned from my picky eaters is that while they could eat homemade mac and cheese, chicken nuggets, and pizza every day, they don’t necessarily like bland foods for things like veggies. Over time, I’ve learned which flavor profile they prefer; and now I can introduce new foods with the same type of recipes. Does your kid love parmesan cheese on their pizza and spaghetti? Try “sprinkle cheese” on veggies and chicken, even when no tomato sauce is in the meal. One of the best things about being a picky eater is that you get a lot of special foods and special one-on-one time with mom and dad or a specialist. Basically, a lot of special treatment. 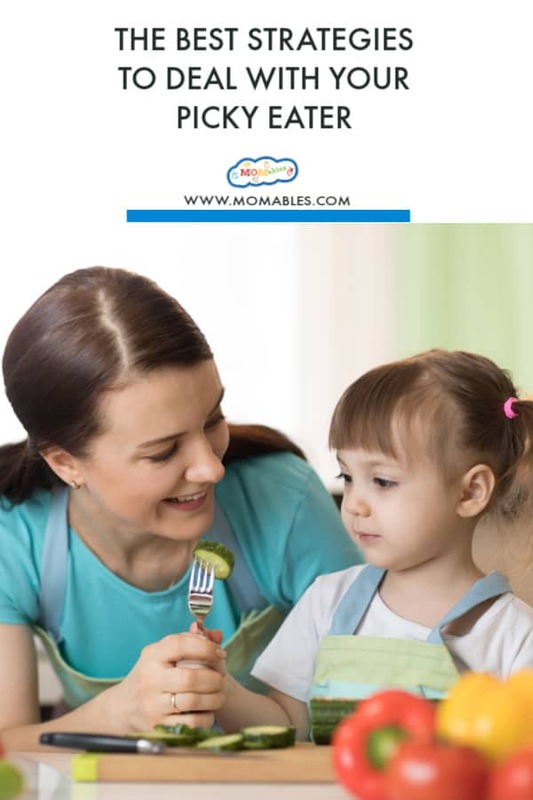 It’s important that not a lot of emphasis is put on preparing special meals for both the child or the family. “One meal for everyone” is the philosophy our Meal Plan Members adopt and with our Picky Eaters Program succeed. Everyone in the family is offered the prepared meal rather provide something different “just to get your child to eat something.” This shows special treatment. If you’re having baked chicken with broccoli and mashed potatoes, let your child choose which items he wants to eat but offering all items, in case they want to try it. There are many strategies specialists use to introduce new foods to kids. Most of these focus on using a food that the child already prefers to eat to get them to try something similar. This “ingredient loop” provides something the child likes in another vessel. For example, if your child loves chicken nuggets, then try to make similar items with the nugget shape/texture they like. Some great examples are our Broccoli Nuggets, Veggie Nuggets, Salmon nuggets and 2-Ingredient Tater Tots (these can be made with carrots too!). Other strategies for getting kids to eat chicken that isn’t breaded include making the nuggets with less breading each time. As time goes by, you’ll eventually get to a place where the child learns to eat seasoned, grilled chicken. Understand that it will take some time to get kids to like new foods. Overcoming picky eating isn’t something that will fix itself in a month or two. Rushing from one texture to the next doesn’t seem to work well for most picky eaters. Instead, accept this for what it is and have fun with the process! Eventually, your child will learn to try new foods. Maybe these strategies were not what you were expecting. And remember that we can only change the way we approach things since we can’t control our kids’ feelings or actions towards food. 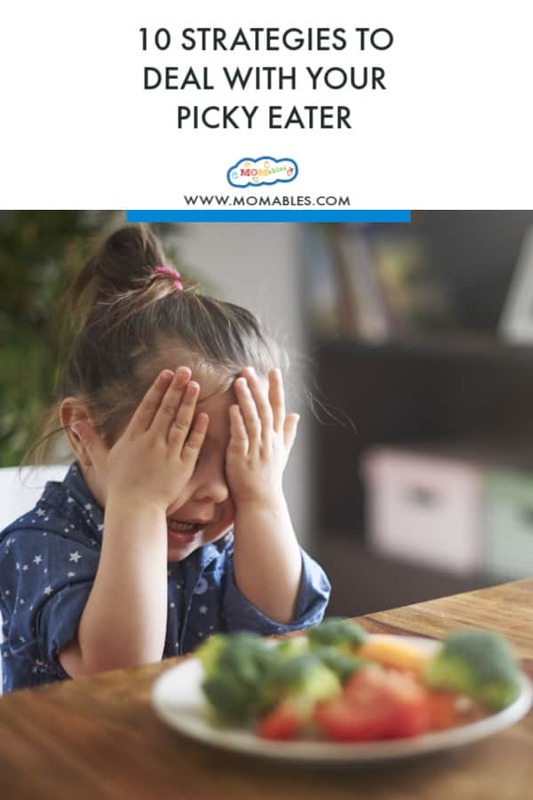 What is your biggest struggle when dealing with your Picky Eater?